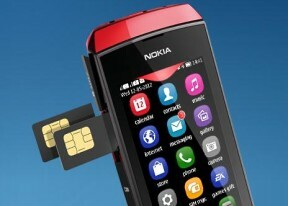 Is this model (asha 305) is symbian software? Is this phone support WiFi connection..
is this phone support streaming video? can any one tell me please. if then how? please. How to play full screen video in asha305. .pls help guys. .
Gaurav, 09 Jan 2013Very bad phone.no streaming no flash no wifi.try to update your phone software by nokia suite not with nokia pc suite, both are different ans nokia pc suite won't allow you to update your phone, it will use sim1 internet to update it's about 48mb and the software version is 5 something. In response to your message and as per our conversation, we would like first to offer you thanks for your interest in products and services of Nokia, and we would like to let you know our goal is that we are satisfying all the needs and desires of our customers, and kindly be noted that this application is not compatiable with your phone but make sure your suggestion has put into consideration, we will study it and, if approved, it will be announced in the official media or on our official website. And also hope that you will return to us in case the problem is not resolved with your further description of the problem so that we can solve the problem. And here is the reference number for your inquiry that would help us follow up on your case. Kindly provide us with this No. to be able to help you better. For any further assistance, please contact our Care line on 11-11 66542. Time: 10:00 AM To 07:00 PM (local time). Working Days: Monday - Saturday. Very bad phone.no streaming no flash no wifi.